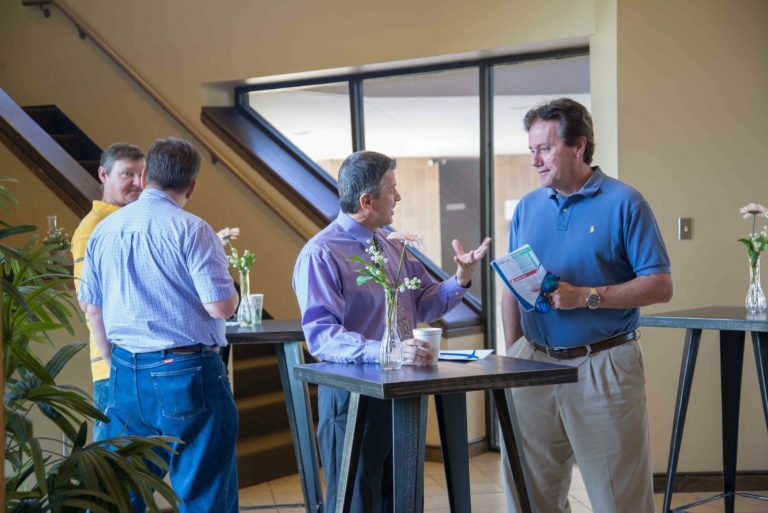 We are excited to have you visit our church and would love the opportunity to meet you! We know going to new places can be a little scary. We pray our church may be a source of encouragement and community. Hopefully the information on this page will help answer some of your questions before making a trip, but if there is anything else you’d like to know, please let us know! 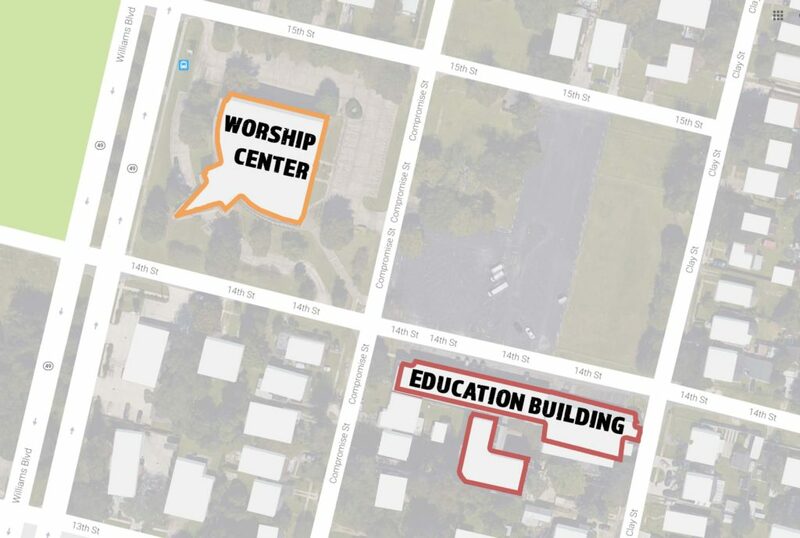 For Bible Study at 9AM, just come to the Welcome Center in the middle of our Education/Administration building on 14th Street, a block off of Williams Blvd. Look for someone wearing an “Ask Me” name tag, and they will gladly show you where to go and introduce you to some of our members when you get there. Our Worship Gathering at 10:30AM takes place in our Worship Center, which is the big building at 1400 Williams Blvd. Park around back (the lot off of Compromise St.), and follow the crowd into our foyer. At the door, you’ll be handed a bulletin with information about our church, including upcoming activities. Once inside, you will probably be greeted by someone with an “Ask Me” name tag, and you can go to the Welcome Center and pick up a folder that has some more really good information. We have Bible Studies for all ages every Sunday morning at 9:00AM, including kids! We also provide childcare for babies through pre-k which continues during our Worship Gathering at 10:30AM. Childcare is located across the street in our Education building. Find someone with an “Ask Me” name tag, and they will be glad to show you the way. Your child’s safety is very important to us. 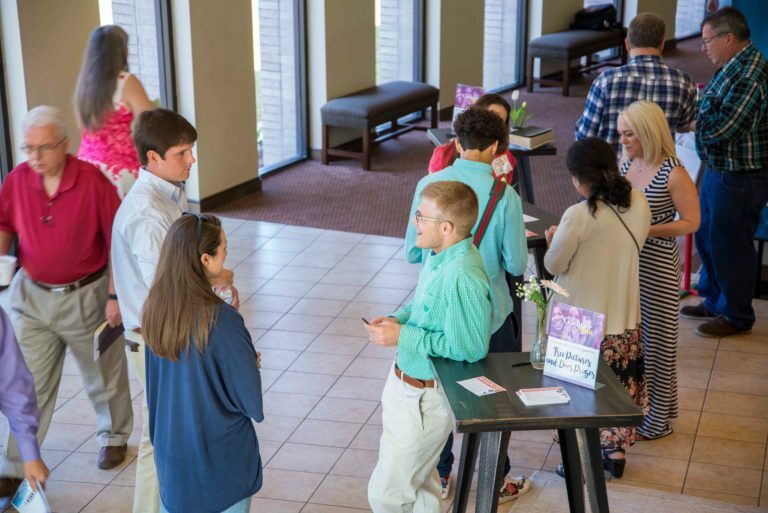 We use an advanced check-in system to secure how your child is checked-in and checked-out of all activities at our church. Setting this up on your first visit is easy, and we have staff members to assist you in the process. All of our volunteers have had background checks and have been specifically trained to ensure the best care for your children. What Should I Expect During the Worship Gathering? Our Worship Gathering is relaxed but very intentional. We like to say that the sermon begins with the first note of the first song, and it ends with the last “Amen.” Everything we do is grounded in the Bible, so even our music and prayers reflect biblical themes and exalt Jesus Christ. 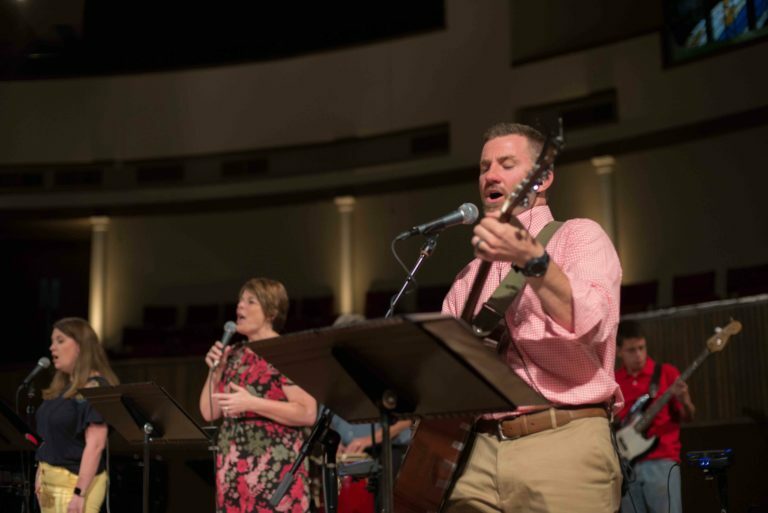 We sing old and new songs accompanied by guitars, drums, piano, and other instruments, and we see the sermon as the central part of our worship experience. If you don’t have a Bible, or if you have one in an old kind of English that is hard to understand, stop by our Welcome Center and ask for a Bible. We are happy to give you a brand new Bible. This is our gift to you. What if I'd Like More Info or Have More Questions? If you’re able to visit on a Sunday morning, stop by the Welcome Center. Our volunteers would love to talk with you and get you more information. Our staff would also love to meet you! They are usually easy to find before or after the service. If you have any additional questions, please feel free to call us at 504-466-5381, email us at church@fbckenner.org, or use the contact form on this page. We would love to connect with you. First Baptist Kenner is committed to making disciples and essential to our ministry is doctrinal integrity. 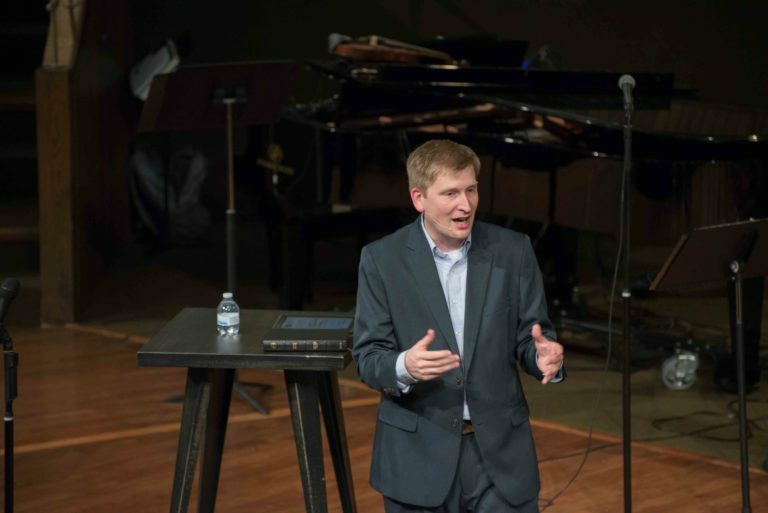 As part of the Southern Baptist Convention, we hold to the Baptist Faith and Message. To make Christ-followers who are transformed by His truth and sent out in His name. To become a biblically faithful, selflessly-motivated, and missionally-focused congregation committed to changing the lives of individuals and families with the gospel of Jesus Christ. We hope our church may be a place that will encourage you, challenge you, and empower you to acts of love and good works. We would love the opportunity to connect with you and bring you into our church family as we serve and worship King Jesus. 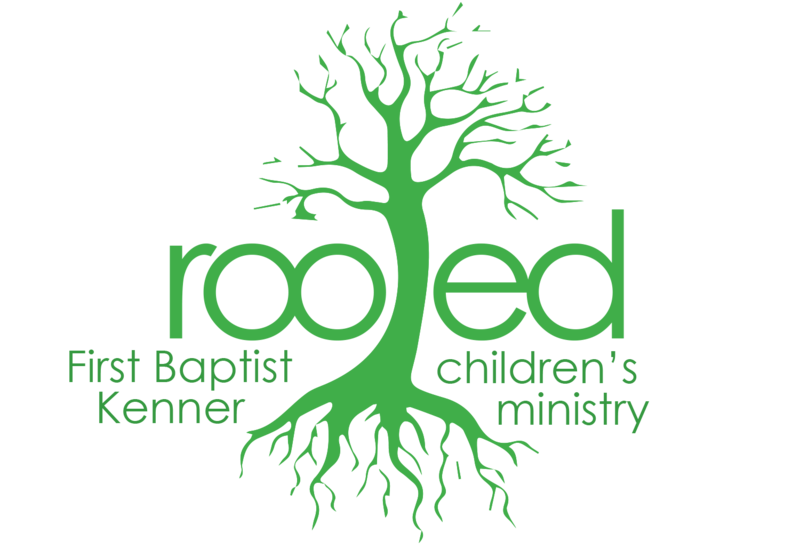 We welcome your child to the Preschool Ministry of First Baptist Kenner. Our desire is to help you and your family have a happy Christian experience through the many opportunities available at First Baptist Church of Kenner. Please partner with us as we do our best to ensure a safe, nurturing, and comfortable learning environment for your child. 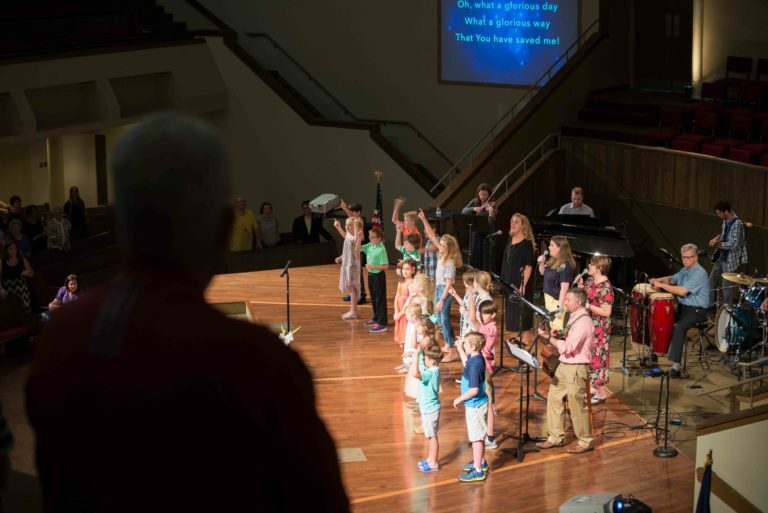 The Preschool Ministry seeks to provide children from birth through kindergarten with the foundations for building character, love, and a positive response to Jesus Christ and His church. We know that; as parents, you need to be sure that your child is getting the best possible care during your time of Bible study and worship. We are committed to providing trained leaders, keeping a clean and safe environment, and maintaining a balanced curriculum designed to meet the needs of preschoolers. Extended Session childcare (during worship) is for babies-PreK. Kindergarteners will go to the worship center with parents. Sprouts: M.G.M. (Missions, Games, Music) at 6:15pm. honoring God with their lives. Our Children’s Ministry’s theme is “Rooted” because want our children to be rooted in Christ and to put their full trust in Him. Preteen: M.G.M. (Missions, Games, Music) at 6:15pm. Thank you for your interest in the Student Ministry of First Baptist Kenner. Making disciples of Christ through personal relationships in order to lead them into a relationship with Jesus, seeing them transformed into mature Christians through Bible study and worship, and helping them discover their God-given gifts for the purpose of being sent out. - Large groups on Wednesday ALIVE gatherings. - Laser tag, Nerf wars, and other fun hangouts!